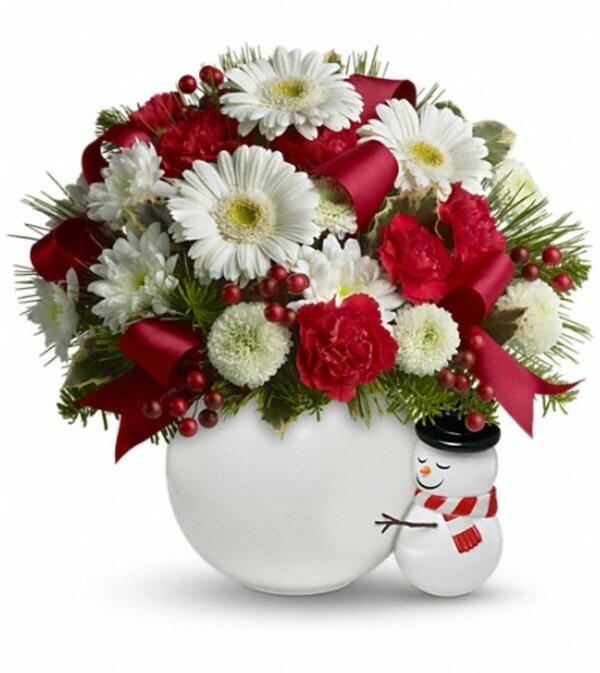 Send a hug with a merry, holly-berried bouquet in a "giant" snowball being embraced by a cute little hand-painted snowman. The perfect gift for people of all ages, including teachers, neighbors, anyone. 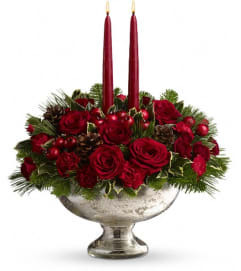 The sweet bouquet includes miniature red carnations, white cushion spray chrysanthemums, white button spray chrysanthemums, noble fir, pine and variegated holly. 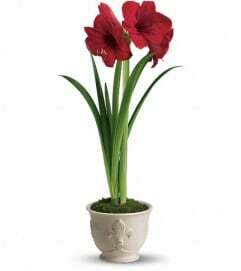 Delivered in a ceramic snowball vase accompanied by a hand-painted snowman.